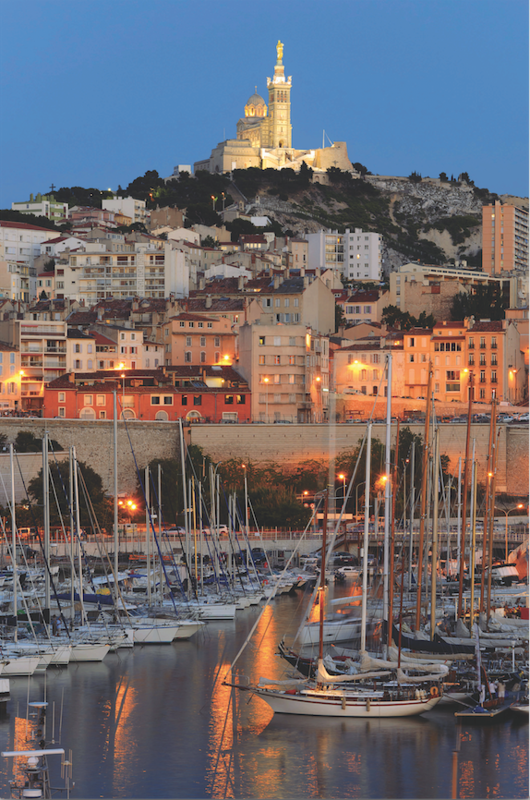 Marseille’s one of those cities that really fires the imagination. Long since sullied by an unfair reputation that its social issues far outweigh its charms, I found it a fascinating blend of the surprising and spectacular, with its winding streets that date back centuries and a buzzing, multicultural vibe. Since its reign as the 2013 European Capital Of Culture, a fair bit of investment has been pumped into the place and, although its opera probably dominates its position on the cultural radar, there seems to be a vibrant rock and pop scene, too. In recent years, hip-hop has come to characterise the city’s identity, with acts like La Fonky Family and Keny Arkana using it as their springboard. 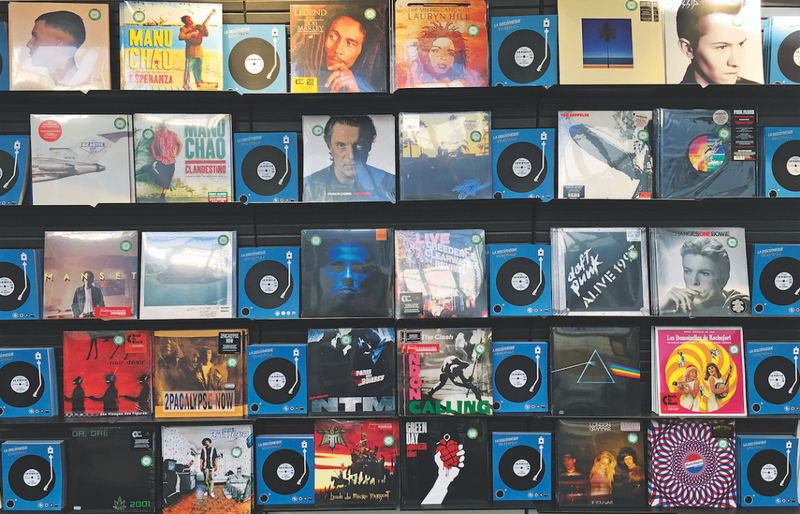 This national chain of Cash Express exchange stores – think Cash Converters for the French – surprisingly carries a fair bit of vinyl, but I have to say that my positive initial impressions don’t last. It’s the first shop I visit and while the haul looks potentially interesting, closer inspection reveals the inevitable: some badly scratched discs and a couple of sleeves that house a completely different record. 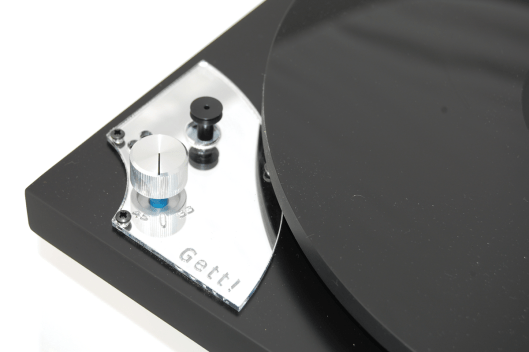 It isn’t a great start, but then the pricing is low and this chain doesn’t claim to be any sort of vinyl specialist. That said, there really isn’t any excuse for such sloppy stock management. I do pick up a copy of Elton John’s 1981 album The Fox, with the interesting French track J’Veux D’La Tendresse (which replaced Nobody Wins) in decent nick, and the €6 I pay is very fair, but I’ll approach this retailer with caution in future. Elton, as I mentioned in the introduction, is already starting to become a bit of a theme for this trip, but more on that later. 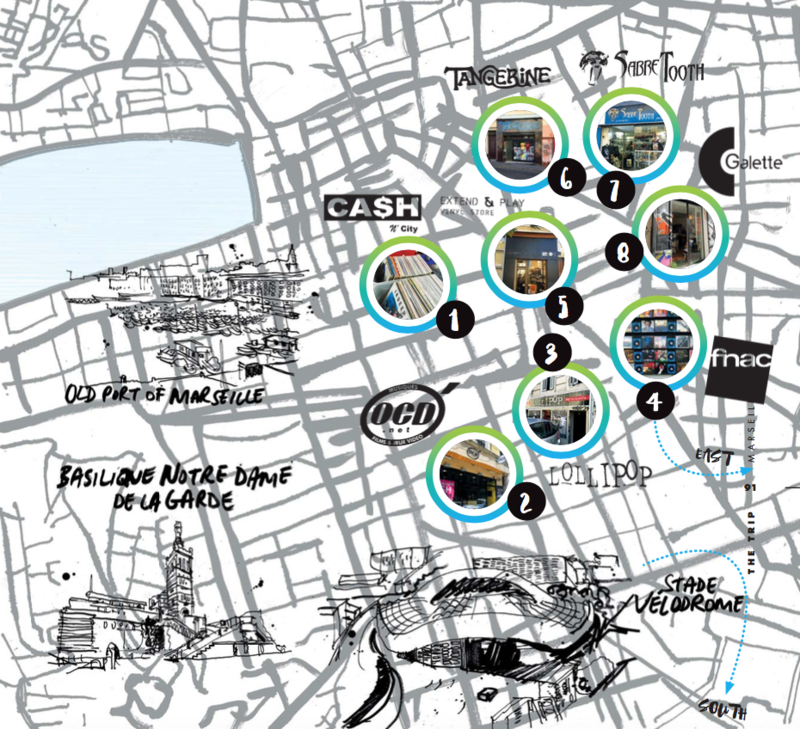 This French chain can’t compete with the dominance of Fnac, but does a very different job. 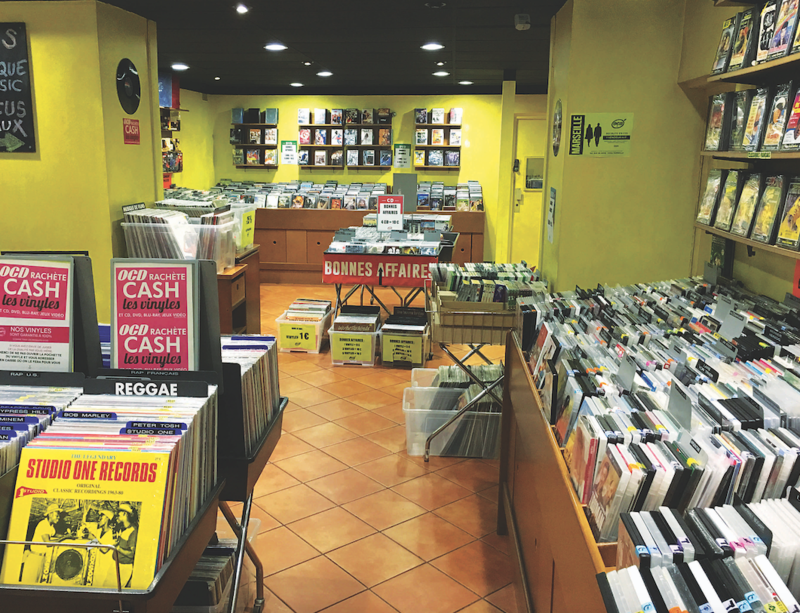 Most of the stock here is second-hand and, although DVD and Blu-ray dominate, there’s a decent range of vinyl in this Marseille branch. With 16 sites across the country at the time of going to press, this southern outpost throws up some interesting finds (stock is temptingly housed in lacquered wood units and filed precisely, which, as we all know, makes this sort of cratedigging more predictable, but so much easier). Elton John – him again – recorded his Michel Berger composition Les Aveux with one of this country’s biggest stars, France Gall, in 1980. I’ve had the domestic 7″ for years, but here I find a clean copy of the maxi-single for €6. It’s a melodic piece of middle-era Elton that did reasonably well in this market. I also pick up 12″ singles from other big domestic hits of the decade – Guesch Patti’s Etienne and Caroline Loeb’s C’est La Ouate. Quite why these flopped in the UK around the same time that Vanessa Paradis and Desireless cut through still puzzles me. A French-language edition of the Popeye soundtrack, with interesting reworks of material from the Robin Williams vehicle sets me back €10. Il Est Large (Track Three, Side One) just about sums it up and, although the Academy Awards ignored this effort, I found it hilarious as a 12-year-old. Suffice to say, it hasn’t dated especially well. Another hero of the time, Shakin’ Stevens, was pretty big news across parts of the continent then (although not especially in France). I find a variant of his Give Me Your Heart Tonight LP here, simply and snappily titled Shakin’ Stevens. The tracks are largely the same, but the title and cover are different. This is the sort of find that makes these overseas jaunts worthwhile – although I appreciate Shaky doesn’t get everyone trembling with excitement. 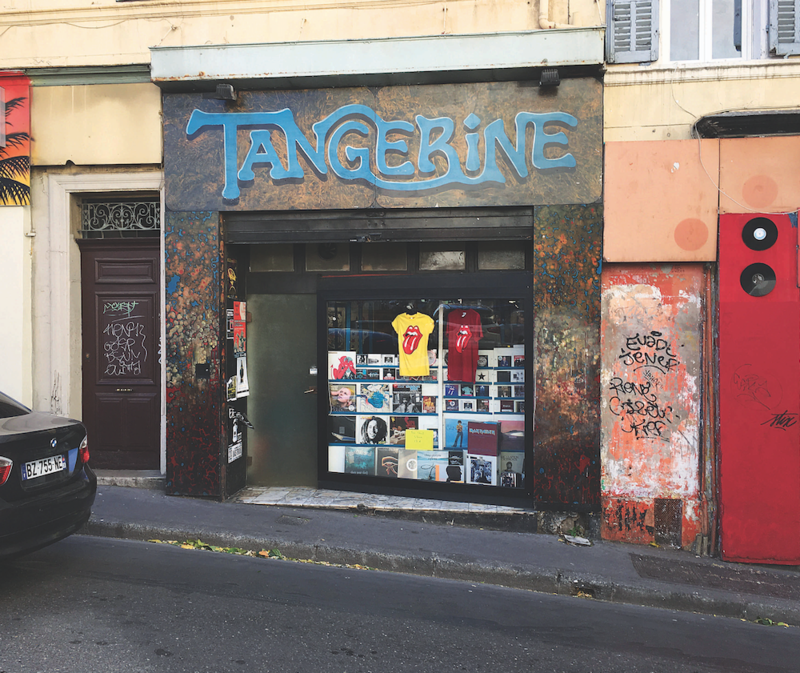 This Marseille institution plays a central part in the city’s creative and counterculture scenes. The stock is balanced, but plays up to its left-of-centre reputation with plenty of rock, punk and psych to keep collectors coming back. 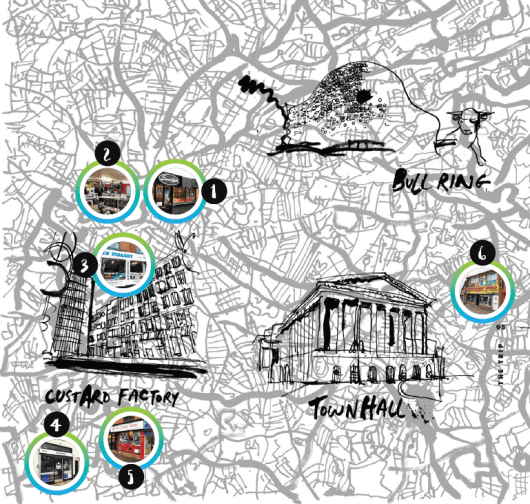 There’s a great live space and a regular programme of gigs largely supporting local, unsigned bands. There’s an eclectic new-wave section that yields a copy of The Korgis’ Dumb Waiters and The Flaming Mussolinis’ Watching The Film for a very good deal and, in the bargain section, yet more Elton John, which I hoover up, as it’s so fairly priced. No extra or replacement tracks in French on Victim Of Love or Ice On Fire, but nice clean copies nonetheless. Despite having a UK chart-topper with Feels Like I’m In Love, Kelly Marie was really a disco afterthought back in her homeland, but first broke through in France ahead of her UK success. As a disco/Hi-NRG collector, her gatefold Pye LP Who’s That Lady With My Man is a real find for the handful of Euros I pay. Pricing on the Dead Kennedys proves a touch keener. 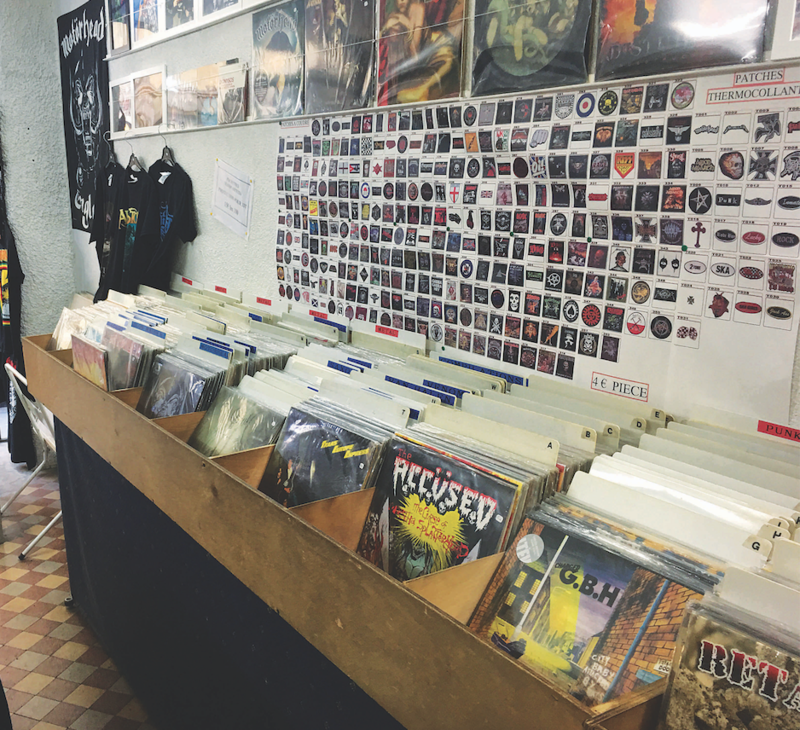 The store stocks a good amount of new vinyl, plus the usual range of T-shirts and books. 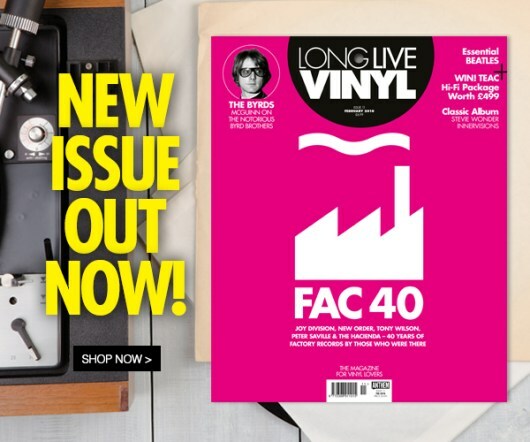 Perhaps Lollipop’s most interesting claim to fame is its label, with a scattering of rock ’n’ roll, garage and punk releases. Some of it is playing in the adjacent branded café and it’s a touch thrashy for my cappuccino habit, but the place is busy and even though my fantasy order for NikitA and a relaxed sit-down would be likely to fall on deaf ears, the service is generally charming. It’s time to move on, but this is a must-visit. If you’re looking for the sort of ‘get yourself lost in boxes of dusty, random stock’ store that I, for one, adore, then Tangerine satisfies all the cravings, and then some… The shop’s been here for about a decade and the stool the owner gives me to sift through piles of 45s in excellent shape is much appreciated. I pick up dozens of records – sometimes for the variant covers (David Essex, Jimmy Somerville, Paul Anka and, yes, more Elton; this time, the relatively rare 1990 single Whispers), and Cyclope’s Wen Story (Seul Dans La Nuit) is just too interesting to leave behind. Sandra, who recently failed to appear on a rare scheduled London concert date, couldn’t get arrested in the UK during much of her mid-1980s reign across Europe as a rival to Madonna, but I loved her. 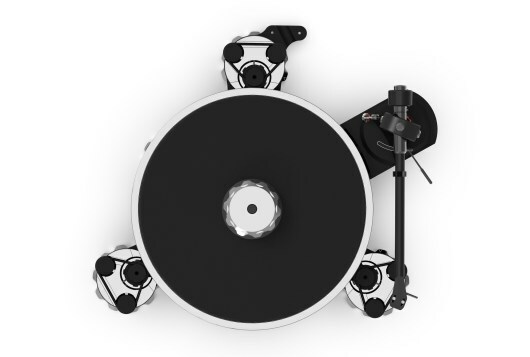 The 12″ of Loreen is a rare gap in my collection and is secured here for a couple of Euros. There’s a decent amount of haggling to be indulged in on this haul, which always makes me feel peculiarly satisfied on the rare occasions when I manage to pull it off. Clearly my English reserve lay buried on this trip, although I’ll confess this is the only store where I try it properly. 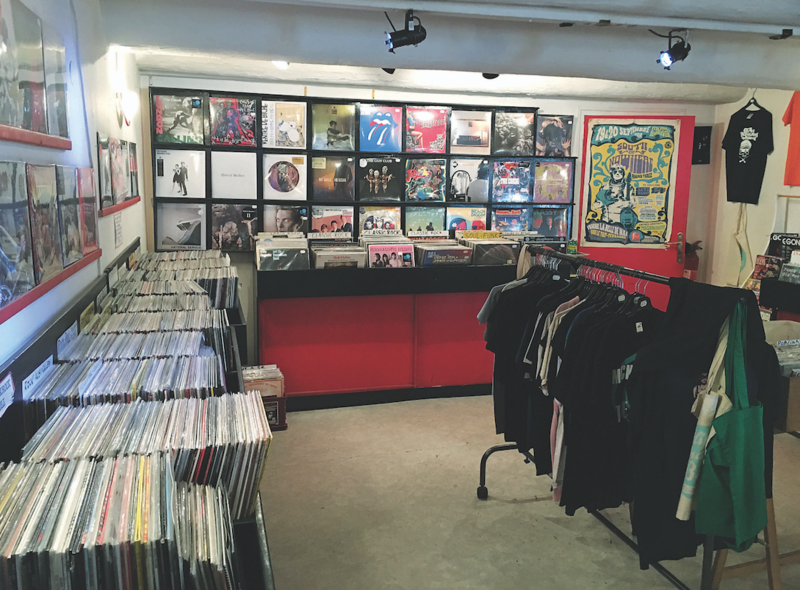 This is a real collectors’ shop, with loads of Beatles, Stones, Depeche Mode and Zeppelin, but you’ll need a good few hours to give it a proper going over. I actually come back the following day to sift through more of the stock and am pleased to come away with a Tina Turner Pepsi promo package from 1987, featuring her Break Every Rule album (more than a tenner on Discogs) and a mint copy of a 1985 edition of French music magazine Rock & Folk featuring a very young-looking Madonna. Clearly, Sandra wasn’t having it all her own way this side of the Channel. I’ve spent far too many evenings in dodgy clubs doing my best to impress on the dancefloor. Those clubs have, naturally enough, created a curious appetite for the darker excesses of Eurodisco, with Italo being a particular draw for me. 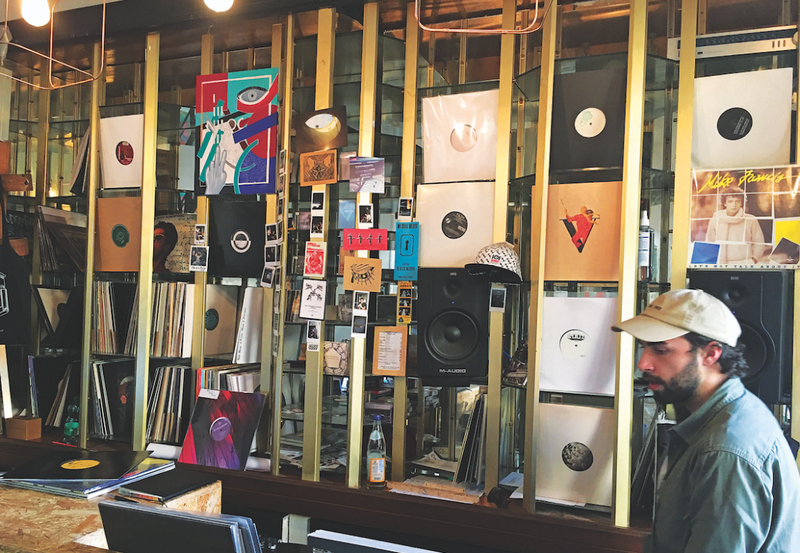 Galette Records – routinely billed as one of Marseille’s finest vinyl retailers – truly doesn’t disappoint, with one of the best selections of this genre I have come across. 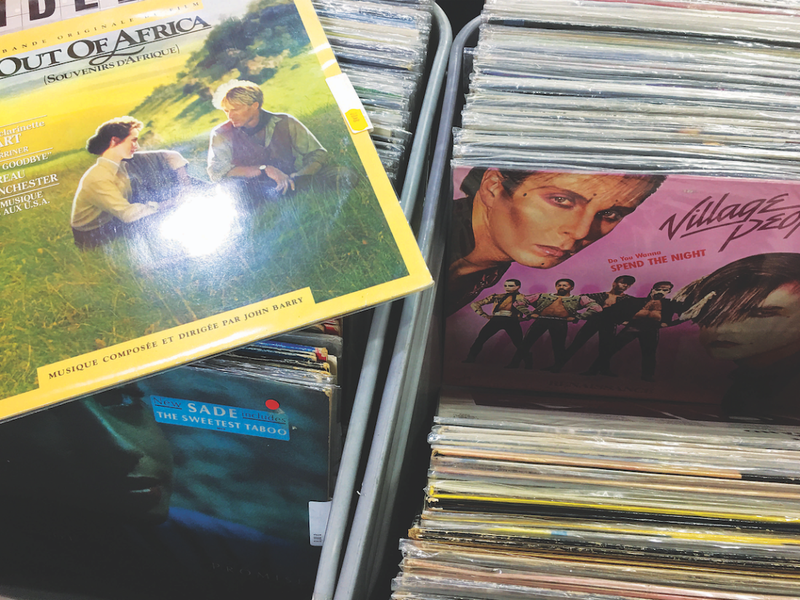 There’s plenty of everything, of course, but when I spot the super- rare 12″ of Miguel Bosé’s album highlights, little else truly matters. Chicas! 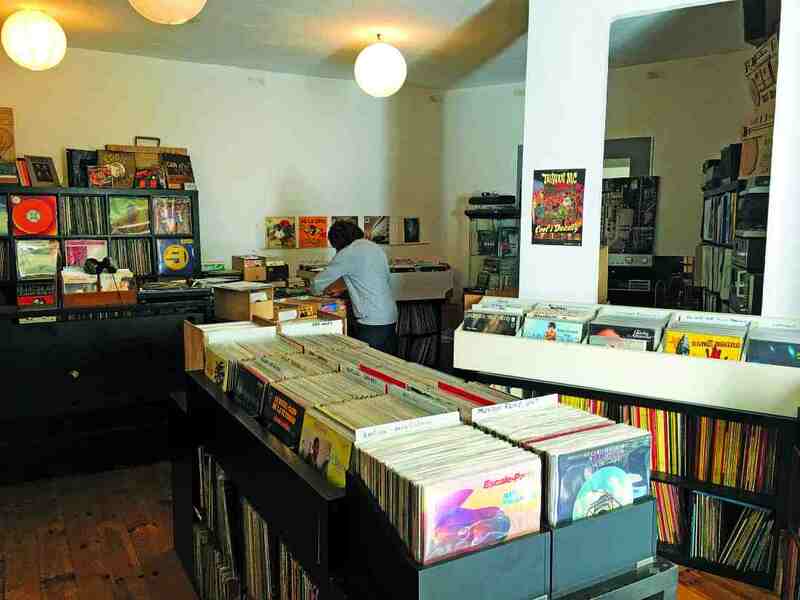 – Especial Discotecas is a Spain-only issue and highly prized by collectors like me. It doesn’t come cheap, of course, but this disco-tastic relic of the Panamanian icon in, shall we say, a more ‘exposed’ frame of mind, is worth the price I pay for the sleeve alone. It’s like owning a 45rpm memento of Studio 54. Continuing the theme, Indeep are best known for Last Night A DJ Saved My Life. When Boys Talk was the follow-up, which stalled at No. 67 in the UK, probably because it was a virtual remake of the first hit. 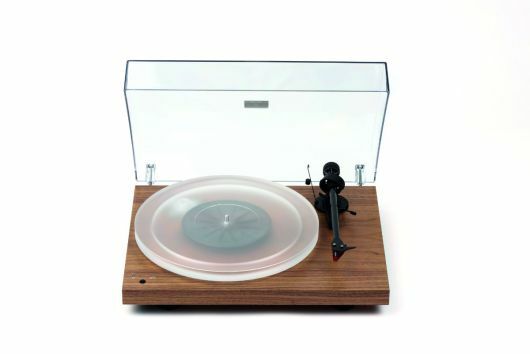 Still, it needs adding to the collection and €6 is a good price for a clean copy of the 12″. Elton is present and correct and it’s interesting to note that his 80s output is – again – more widely available than his (some would say better) 70s material. A handful of other individually priced Eurodisco 7″ singles complete the haul, including local issues of Bobby “O”’s I’m So Hot For You, Sylvester’s I Who Have Nothing (note that they lost the brackets for this local billing) and Boys Town Gang’s I Just Can’t Help Believing. There’s a big soul and funk section that keeps me occupied for some time here, too and, as I pay for my finds, I notice the staff cleaning records for buyers before handing them over, which I think is a nice touch. I doubt my local charity shop will offer that service anytime soon.